Office Space - Burlingame, California. 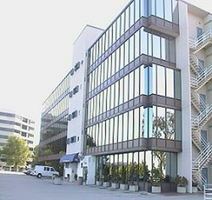 With many amenities and San Francisco International Airport (SF) accessible within minutes, this 5 storey building offers 24 hr access, free on-site parking and reception services amongst other on-site amenities. These offices are modern and are also close to local bus routes, making it easy to reach the workplace.